Even though we’re just a few days out, there still may be some surprise speakers for Republican National Convention in Cleveland next week. Donald Trump has bragging about the list of speakers for the RNC for weeks now, but the guest list still doesn't appear to be set in stone. One potential guest is certainly on the minds of observers after his infamous appearance at the 2012 Republican Convention: actor and director Clint Eastwood. Eastwood has supported Trump’s presidential bid, and according to The Hollywood Reporter, the Oscar winner has been working with Ann Coulter to garner support for the reality TV business mogul. But the real question is whether he’ll bring his star power to bear in a more public venue, as he did for Mitt Romney at the GOP confab in Tampa in 2012. According to the Associated Press, at the time of writing, Eastwood is not expected to make an appearance in Cleveland. Along with Romney, the Bushes, and a slew of other prominent Republicans, it appears for now that Eastwood will not be voyaging to Cleveland July 18 through July 21. 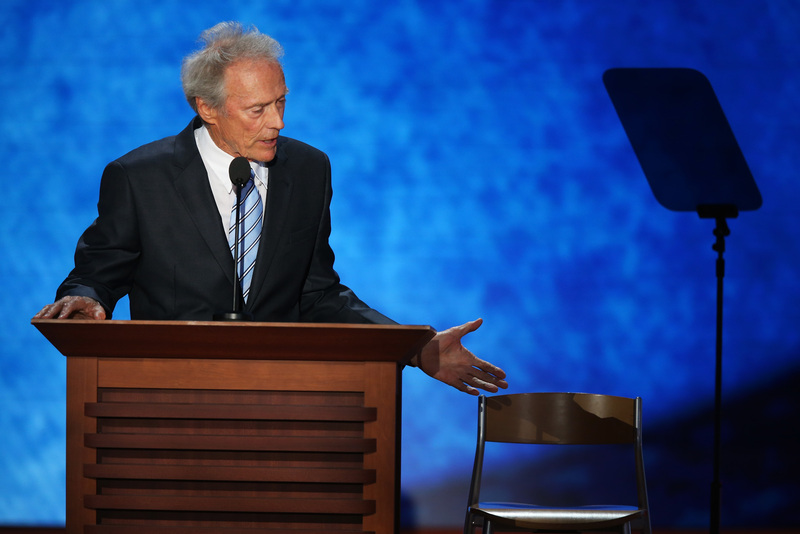 Eastwood was as surprise speaker at Romney’s convention, so for 2016, no one knows if he will or won't be in attendance for for sure. But if Eastwood does grace Cleveland with an appearance, we can be sure it will be a hell of a show.